In order to travel, a ticket suited to the journey to be made must be purchased and validated prior to boarding the train or to accessing the interior precincts. The ticket must also be validated if transferring. 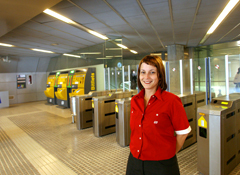 The ticket must be kept until the exit of the destination station so that it may be shown whenever requested by an employee of the company and so as to validate it at the exit of stations that have validating machines at the exit. 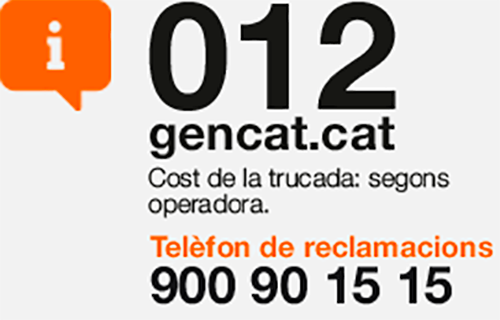 The ticket will not be valid if it has been subject to any kind of alteration and manipulation or if, when applicable, it is not accompanied with an identity card or does not match the specific conditions of use. Passengers are entitled to use the ticket that best suits them for their travel and are required to find out the characteristic features of each ticket type prior to purchasing it. 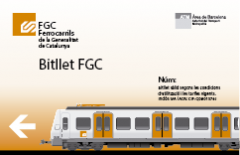 To purchase tickets, passengers on FGC are offered suitable information on the zones of the journey they wish to make on the informative panels, and on ticket vending machines. 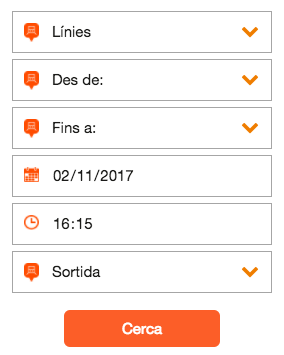 Validation of a ticket allows for a journey in only one direction. Single tickets purchased from FGC may only be used on FGC lines or, in other words, may not be used in transfers with other means of transport. Transfers are allowed and not penalised with ATM integrated tickets. Tickets must be validated in each transfer among the different companies. A maximum of three transfers may be made within 1 and 15 minutes on one-zone journeys. For each extra zone and up to a maximum of six zones, the time may be extended by 15 minutes per zone. Tickets, purchased prior to use, will be valid until there is a change of fares and, in all events until the date it is specified as a valid ticket for travelling. If the passenger bears a ticket that appears to have been manipulated or falsified, this ticket will be removed and he or she will be asked for documentation so that any corresponding charges may be brought. The person will subsequently be requested to leave the train or the premises. Possession of a valid ticket guarantees the provision of transport but does not guarantee occupancy of a seat in the train. Passengers may not travel seated on the floor of trains. Children under 4 years old may travel for free if they do not occupy a seat. Domestic animals may travel for free provided that the occupancy of trains does not require otherwise. Dogs must wear a muzzle and be kept on a lead from the moment they enter the premises of FGC. Small animals must travel in baskets or in cages and must not occupy a seat under any circumstances. Dogs considered as potentially dangerous by law may not be under the supervision of minors of less than 16 years of age. Bicycles may travel for free provided that the occupancy of trains does not require otherwise. Users who travel with luggage must use the luggage rack and leave carriage corridors and platforms free. The seats reserved for people with reduced mobility or for other groups specified on signs be respected, and when appropriate, given up. FGC is a space for harmonious coexistence. Passengers should conduct themselves civically and properly, respect other users and FGC employees and observe the instructions of employees, indications on posters, and notices broadcast in trains and stations and on the PA. Smoke on trains and in all open or closed FGC facilities. Travel by bicycle, on skates or similar items in interior precincts, foyers and on platforms. Make unjustifiable use of emergency and assistance points installed beside the ticket vending machines or platforms or of the emergency stop systems of mechanical escalators or of lifts or of the alarm devices of trains and may not prevent the legitimate use thereof. Board or alight from the train after the acoustic signal has sounded or enter drivers’ cabins or facilities reserved for the exclusive use of authorised personnel. Climb down onto the rails or enter tunnels. Prevent or force the opening or closing of the doors that provide access to trains. Carry objects or materials that may be dangerous or unpleasant for users Perform activities or actions that may upset users, alter public order or disturb service. Behave in a way that may endanger their own physical integrity or that of other users and employees or undermine the safety of the railway and facilities and perform actions that may harm or dirty trains or facilities. Throw or deposit objects on the rails or thereabouts. Distribute advertising, put up posters, beg, organise draws or games of chance, sell or offer goods or services or perform any type of artistic activity in trains and facilities, such as the use of musicals instruments, etc., without the authorisation of the company. Consume alcoholic drinks (except in authorised establishments) or intoxicating substances, which are prohibited on all FGC premises. Pursuant to Law 4/2006 of 31 March, on railway transport, breach of these prohibitions represents an offence that, if classified as minor may be penalised with a fine of up to 6,000 euros, as serious with a fine of up to 30,000 euros, and as very serious with a fine of up to 300,000 euros. Failure to validate the ticket before the journey or entering restricted zones. Not possessing a ticket or being unable to show one upon request. Using a ticket purchased at a reduced price without proof of the right to use such a ticket. Using a personalised ticket that belongs to someone other than the person using it. Using a ticket outside of its corresponding fare zone. Travelling with an invalid ticket. In accordance with Art. 52 of Law 7/2004 of 16 July, on tax and administrative measures, and with regard to Law 4/2006 of 31 March, on railway transport, amended by Art. 52 of Law 26/2009 of 23 December and updated by Resolution TES/3013/2011 of 21 December, travel without a valid and adequate ticket and non-payment within the term specified may constitute an administrative offence punishable by a fine of up to €6,000, in accordance with Arts. 65 and 66 of Law 4/2006 of 31 March, on railway transport. If the user refuses to identify him or herself, the presence of security or public order officers will be requested.